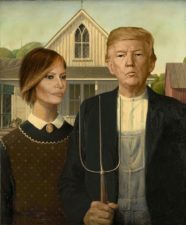 Green Acres the Musical, based on the 1965–1971 TV sitcom starring Eva Gabor and Eddie Albert, is currently in development from Center Stage Capital, Inc., a new entertainment company founded by Pam Laudenslager and Colleen Lober. Produced by Laudenslager, Lober, and Richard Chapman, Green Acres will feature a book, music, and lyrics by Tor Hyams and Lisa Rothauser; Thomas Caruso (Southern Comfort) will direct. The musical comedy, which will feature the TV theme song, concerns the love story of Oliver (a Manhattan attorney) and Lisa Douglas (an aspiring fashion designer), who are currently living in Manhattan. Faced with the overwhelming pressure to run his family’s law firm and live up to his father’s reputation, Oliver longs for the simple life, but New York and all that it has to offer is Lisa’s perfect world.